Looking for an excuse to use the new griddle again, I made fritters today. 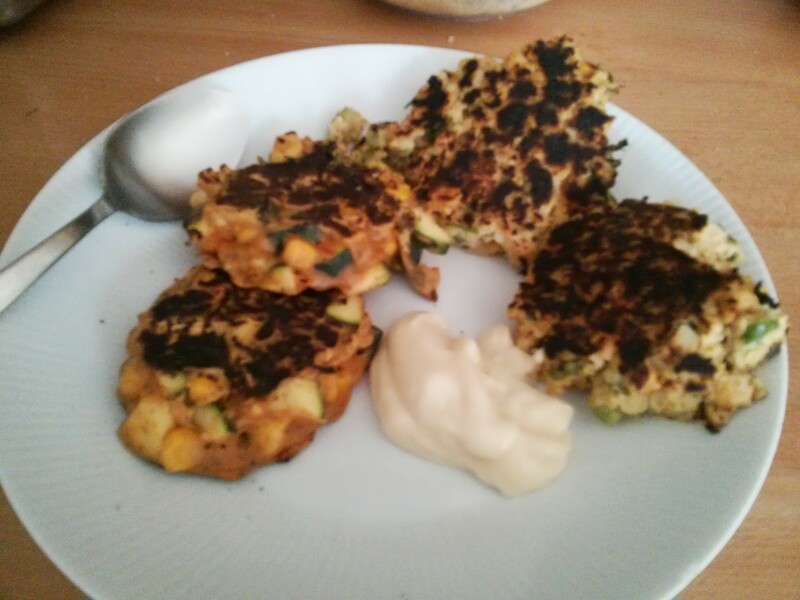 One set was pancake-batter based, with corn and courgettes, spiced with lime juice, coriander and cumin. 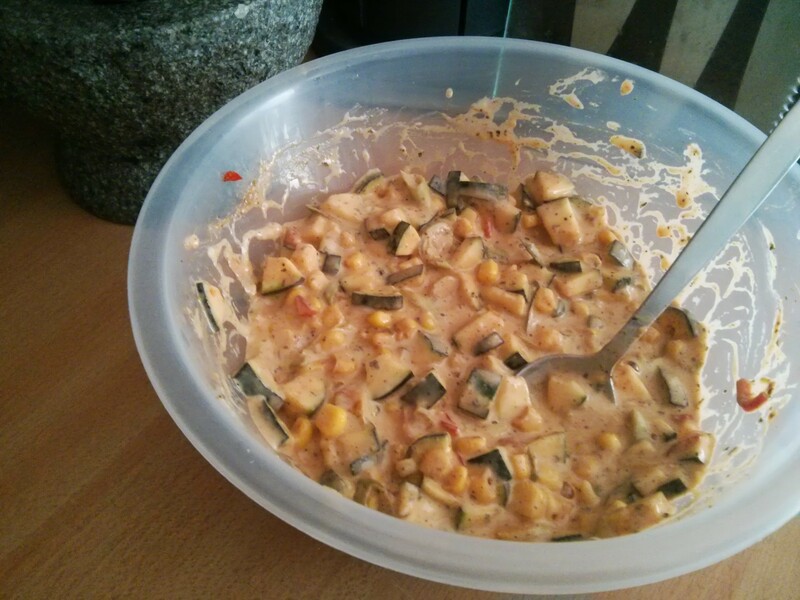 I’d done it with courgettes before, and I grated them rather than chopping them as I did this time. I definitely preferred the grated ones, they felt more like a proper fritter rather than a fritter with chunks of veg in it. 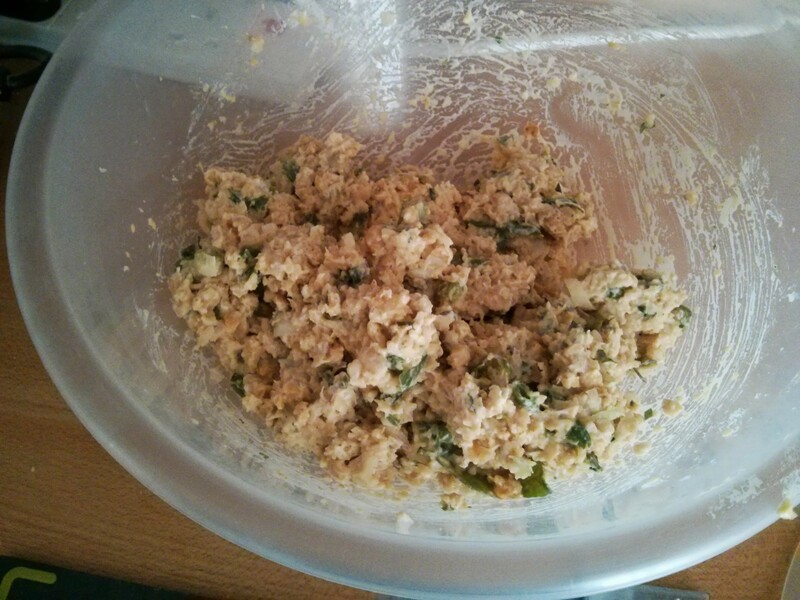 I also did some chick-pea ones. These used food-processor’d chick peas bound together with egg, breadcrumbs and Greek yogurt, and spiced with garam masala and paprika. Actually griddling was complicated. I heated it up for a good long time to get heat into it, but it was clearly too hot as the fritters burnt pretty quickly. So quickly I didn’t get time to tae a picture of them cooking! They tasted great, apart from the obvious burnt bits! I think the trick will be to have the griddle at a lower temperature next time, but still give it lots of time to get fully heated at that lower temperature.